These are the reviews for Rhoslan. There are 15 reviews. 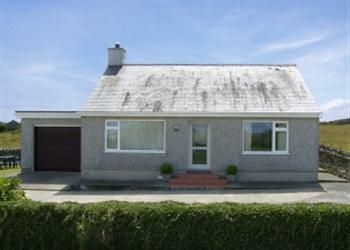 Very well maintained bungalow very very clean and everything there for you. Owners, Mr & Mrs Hughes were very friendly and helpful and contributed to the enjoyment of the holiday, as did border collie Meg. We had a very relaxing stay at Rhoslan. We were very welcome by Eric and Val and we had an even more enthusiastic greeting from Meg, their new adorable 4 month old sheepdog! If you're a bird lover you'll appreciate the swallows sitting on the wires right outside the cottage and you can watch them sweeping the open fields for flies (we were there mid June). For more birds, South Stack and Cemlyn bay are not far to reach. Overall we appreciated the quietness of the cottage environment and neither the cows nor the dog made any disturbing noises. Well worth another visit! The owners of the cottage were really friendly. The cottage itself was extremely clean and very well equipped. Everything we needed was provided. A great cottage. Amazing place in an awesome location.Nice friendly people.Cottage with brilliant views on all sides.Had a wonderful experience. The owners were pleasant, helpful and caring throughout. The owners Val and Eric live in the neighbouring property and we're lovely. 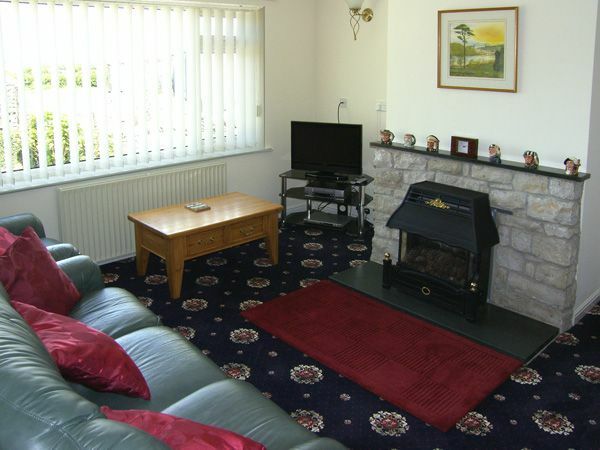 The cottage is very well kept and within close distance (5-10 mins driving) of the beech. The kids loved it and enjoyed playing on the slide and with the outdoor toys that are stored in the garage. I'd recommend this for small families. Really enjoyed our stay. We had to ring up to make the booking payment as we were unable to facilitate it online due to your site being unable to do it. this was the second holiday property we booked with you and it happened on both occasions. Previous one was near Aberystwyth earlier this year. Both properties were good and we had good holidays. Rhoslan had everything we needed for a stress-free holiday and was the perfect base for our daily trips out with the kids. The owners were so welcoming and made the place lovely for our arrival. The beds were comfy, there was plenty of room for the kids to play, the kitchen was more than adequate and overall, it was simply a lovely place to stay and we definitely plan to return at some point in the future. The hosts were brilliant to us and our grandson, the property had everything we wanted. The weather was fantastic, beaches are fantastic, all round fantastic holiday and we can't wait to go again. The welcome from the owner's dog was wonderful! She came to us with tail wagging and was trained not to come into the house. The bird life around the cottage was plentiful! There is a pair of robins in the hedge by the kitchen window, and I saw a wren, and lots of swallows. It was lovely and quiet at night. Lovely cottage in a lovely location. The owners were wonderful hosts and made us and the children feel very welcome. We will certainly be looking to return. Beautiful bungalow in beautiful settings. The owners were very welcoming, they could not have been nicer. We had a great time in peaceful restful surroundings which was helped by the owners. We have been holidaying in Wales for over approx 12 years and this property was in the top two that we have stayed in. We had a warm welcome and assistance with travel details and places of interest. Despite the bungalow being next door to the farm house we were never felt intruded upon. It was a wonderful holiday. If you're looking for other cottages around Rhoslan, we've got some cottages below which may take your liking. There are 70 cottages within 5 miles of Rhoslan - and they have reviews too.